Delap (FY14 net revenue of $12.8 million) of Lake Oswego, Ore., announced that Harriet Strothers has been admitted as a tax partner. Strothers has nearly 30 years of experience in providing state and local tax (SALT) advisory and compliance services to large multi-state and multinational companies. Prior to joining Delap, she spent 15 years with The Ryland Group – a Fortune 500 home builder and mortgage lender that operates in 28 states. 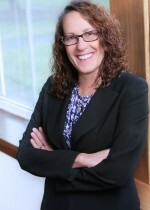 With extensive experience managing tax compliance and audits for all areas of state taxation as well as IRS “large case” audits, she also performs state and local due diligence related to mergers and acquisitions.